This weeks episode starts with a segment with Ryan Woodings, Chief Geek of the developers of the Spectrum Analysis tool from Metageek talking on ‘Visualizing RF‘. The final segment comes to us via David Hutchieson, an world-traveling experienced technician talking to us about the ‘Reliability of Electronics‘ and some of the ways we can help protect against failures. Coming to us from his small office in Boise Idaho, Ryan runs a small company producing a variety of spectrum analysis products. 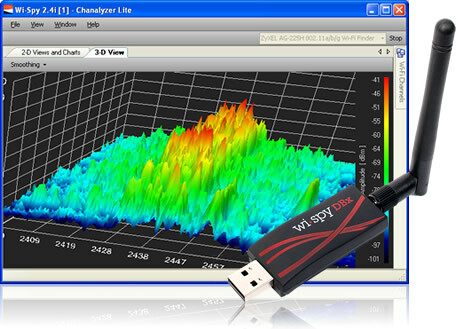 Metageek makes the WiSpy series of USB-based Spectrum Analyzers. In this presentation, Ryan talks about some of the methods and ideas behind using the raw data from the cards–to turn it into usable information to help you better understand the Physical Layer information in RF environment. Their website is http://www.metageek.net/ – and while you are there checking out the WiSpy products, also download their free inSSIDer software to help you inspect and troubleshoot your Wireless Network. You can find Ryan on twitter at @ryanwoodings – or via e-mail at ryan at metageek dot net. Thanks to both Ryan and David for sharing their expertise with us this week.